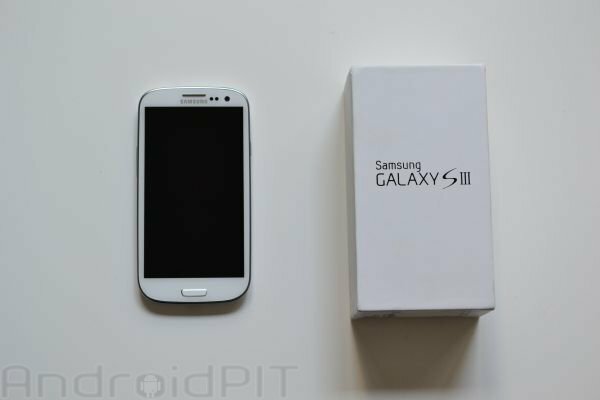 The Samsung Galaxy S3 has finally arrived in our office at AndroidPIT! After spending some time with the device, we wanted to give our readers an overview of how we personally feel about it, and have made a brief (10 min) but extensive hands on video showing off Samsung's newest flagship device. You've seen the pics, you've read the specs, and maybe you even own one by now! With that being said, this video touches on the design, how it feels in the hand, comparisons vs the Galaxy Nexus (design wise), walkthrough of the new Touchwiz interface, web browsing, overview of a few Samsung apps, specs, availability, benchmarks against the dual core Galaxy Nexus, and benchmarks against the quad core Tegra 3 packing Transformer Prime. We will have the phone in the office for a while to come, so don't expect it to be the last video we shoot on the S3! The video can be viewed below (Youtube link here). UPDATE: It seems the "issue" with the Pebble Blue Galaxy S3 is more serious than initially thought. More details on why it was delayed can be found here. Thanks Peter. :-) I will get that review done for you guys ASAP. Looking forward to your more in depth reviews of this phone, I have my hand in my pocket awaiting the release here in Aus. ps: the audio wasn't that bad. Nice basic review. The phone looks really nice. The benchmarks are simply incredible. The audio was only done with a camera (no separate mic). And yeah, while there was a pretty good echo, you can very easily make out the words if your volume is at a normal amount. Who did the audio for your "review"? It sounds like it was recorded in a large cave... with the mic a mile away. Really???? You can't purchase something better than a $5 mic.... and place it somewhere *NEAR* the person speaking?